City DPRD's Commission C, supporting the proposal to add a budget for making certificates for the city's land assets in 2018 APBD-P.
" In APBD-P, we must propose certificate as much as possible. Considering this is city's asset"
According to James Arifin Sianipar, Secretary of City DPRD's Commission C, it needs support because lots of land owned by the city that already has a certificate. "This year, there are 20 plots of certified land, yet there are still found some uncertified lands. In APBD-P, we must propose certificate as much as possible. Considering this is city's asset," he disclosed, during work meeting along with North Jakarta and South Jakarta Local Asset Management Sub-Divisions, Tuesday (12/19). 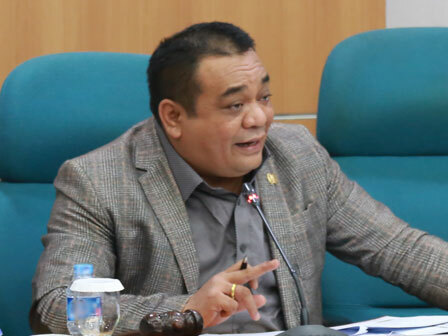 City DPRD's Commission C Vice Chairperson , Jhonny Simanjuntak added, the city's land certification is very important to maintain the assets. "Uncertified land assets must be fenced too. This is to avoid unwanted things," he asserted.